This morning NASA announced the discovery of seven Earth-like planets “that could harbor life” orbiting an ultra cool red dwarf star. Three of these seven newly discovered planets are in the Habitable Zone. The exoplanets circle the star TRAPPIST-1, which lies just 39 light-years (235 trillion miles) away — a mere stone’s throw in the cosmic scheme of things. The discovery, reported Wednesday in the journal Nature, represents the first time astronomers have ever detected so many terrestrial planets orbiting a single star. Researchers say the system is an ideal laboratory for studying alien worlds and could be the best place in the galaxy to search for life beyond Earth. Here’s the paper in Nature: Seven temperate terrestrial planets around the nearby star TRAPPIST-1. The universe suddenly looks a lot more crowded. Now, let me be clear. This doesn’t meant the Universe is ten times bigger than we thought, or there are ten times as many stars. I’ll explain — I mean, duh, it’s what I do — but to cut to the chase, what they found is that there are lots of teeny, faint galaxies very far away that have gone undetected. 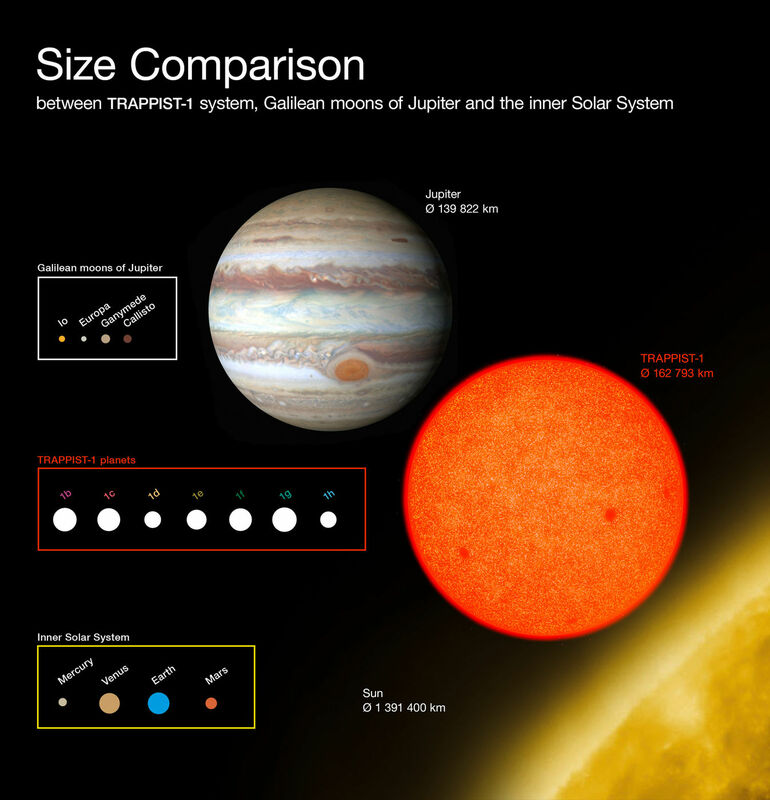 So instead of being in a smaller number of big galaxies, stars are divvied up into a bigger number of smaller ones. The team came to the conclusion that indeed there actually is such an abundance of galaxies that, in principle, every patch in the sky contains part of a galaxy. However, starlight from the galaxies is invisible to the human eye and most modern telescopes due to other known factors that reduce visible and ultraviolet light in the universe. Those factors are the reddening of light due to the expansion of space, the universe’s dynamic nature, and the absorption of light by intergalactic dust and gas. All combined, this keeps the night sky dark to our vision. The sky is literally covered in galaxies! Mind boggling to be sure! This image, in which you can view many of NGC 362’s individual stars, was taken by Hubble’s Advanced Camera for Surveys (ACS) If you want a new desktop image, here’s the 42 MB full-size original (it will automatically download). The above image was created by Reddit user DannyBoy7783 using NASA and ESA photos. It shows horizontally aligned slices of landscapes from every celestial body that human-made robots have landed on and photographed. What a dreamy composition. In recent news, The Rosetta probe recently landed on comet 67P. 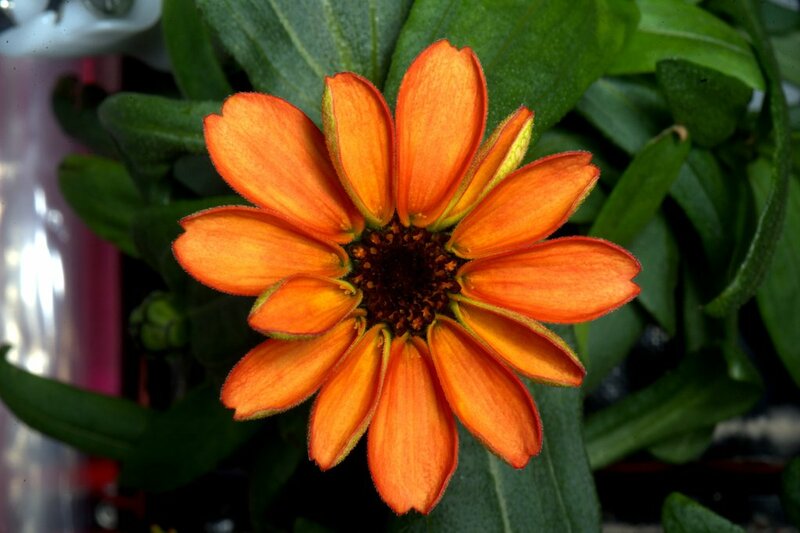 This orange beauty, bathing in natural sunlight for the first time, is the first Zinnia flower to have ever grown entirely in space. It’s part of the VEG-01 experiment on the International Space Station. 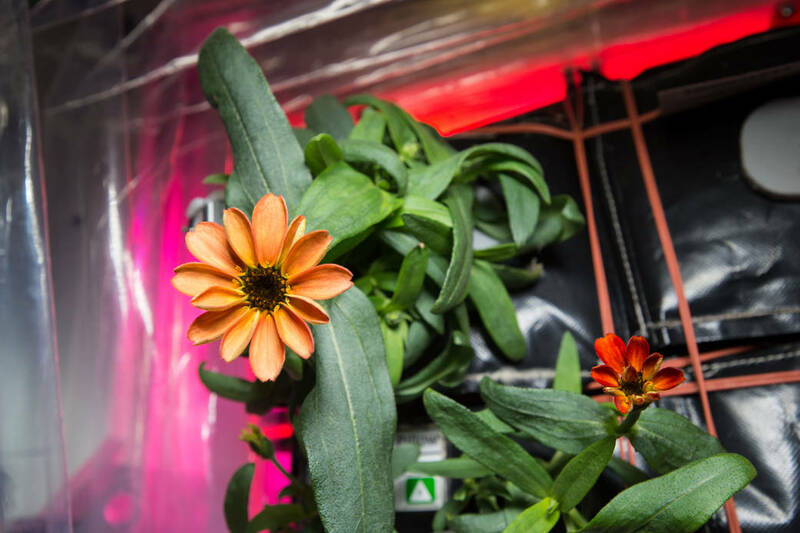 The Veggie experiments will allow the crew members to begin the first steps of in-orbit food production as well as educational outreach and recreation for long-duration missions. The experiment allows scientists to gain a better understanding of plant cultivation and will help determine ways to carry out self-sustaining life support systems during long distance space travel, possibly to Mars. The facility has previously grown lettuce which was consumed by the crew last year. The next set of crops, called VEG-03, has two types of Chinese cabbage and more romaine lettuce. It will arrive at ISS in March via SpaceX’s CRS-8 mission. In 2018, NASA will send a set of dwarf tomato plants to ISS and we could witness crew members eating the first space salads. 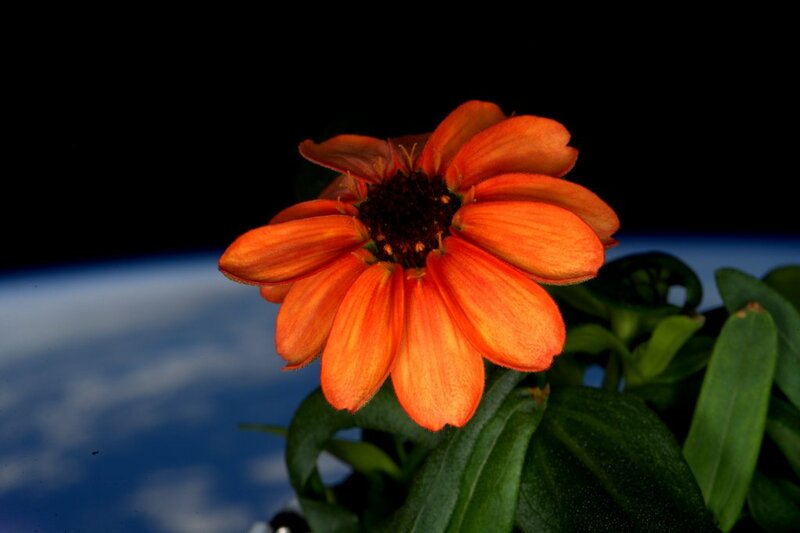 The Veggie team on Earth created what was dubbed “The Zinnia Care Guide for the On-Orbit Gardener,” and gave basic guidelines for care while putting judgment capabilities into the hands of the astronaut who had the plants right in front of him. Rather than pages and pages of detailed procedures that most science operations follow, the care guide was a one-page, streamlined resource to support Kelly as an autonomous gardener. Soon, the flowers were on the rebound, and on Jan. 12, pictures showed the first peeks of petals beginning to sprout on a few buds. Most inner moons in the solar system keep one face pointed toward their central planet, much like our own moon. This is called gravitational locking, or tidal locking. The gif above shows that certainly isn’t the case with the small moons of Pluto, which behave like spinning tops. Pluto is shown at center with, in order, from smaller to wider orbit: Charon (which you can see is actually tidally locked), Styx, Nix, Kerberos, and Hydra (which all spin). During the recent total solar eclipse, a group of eclipse chasers chartered a flight to get a view of the event from 35,000 feet in the sky. The above gif was from the window of the plane flying through the shadow being cast by the moon on the clouds below. The image comes from this video taken by Stephan Heinsius.